Well never though a fanny pack would become part of my fashion look but alas motherhood. 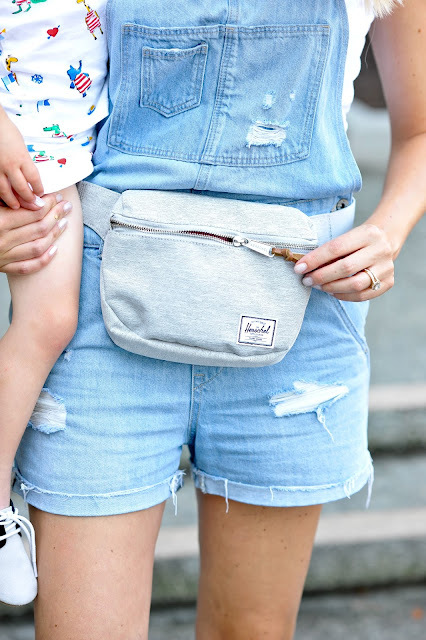 So it's summer right and I never seem to have pockets when I need them but still love to have ya know the essentails (keys, phone, bibs) enter the fanny pack!!! Now i know there are some leather more fashion forward ones out there but I wanted one that was under $40 and could hold up to toddlerhood. So happy I found this sweet little pack from https://herschel.com priced at under $30 can hold a diaper, wipes, cell, key and pouch!!!!! Perfect for the playground to keep all my things! Old Navy: Swim under $30!